NORTH ROYALTON – City Council was presented with the cost breakdown of cameras for its police cruisers and officers, and everyone seemed on board with the purchase, though nothing has been decided. It’s a topic that’s been considered in the past but has been resurrected in the wake of the investigation of Patrolman Steve Zahursky, who was indicted March 8 by a special grand jury on criminal charges of perjury, tampering with evidence and falsification. This indictment stems from his alleged actions and court testimony regarding a traffic stop and OVI arrest that came under question this past October by Parma Municipal Judge Timothy Gilligan. Zahursky’s arraignment was March 22 at the Cuyahoga County Court of Common Pleas where he pleaded not guilty. Judge Shirley Strickland Saffold has been assigned to the proceedings. Zahursky’s bond was set at $5,000, which he posted, and his next court date is April 1. Zahursky retained attorneys Henry Hilow and Daniel Misiewicz. He is on unpaid administrative leave and will remain so until the outcome of his hearing. Immediately following the indictment, Council President Larry Antoskiewicz requested that body cameras be discussed during council’s safety committee meeting March 19. 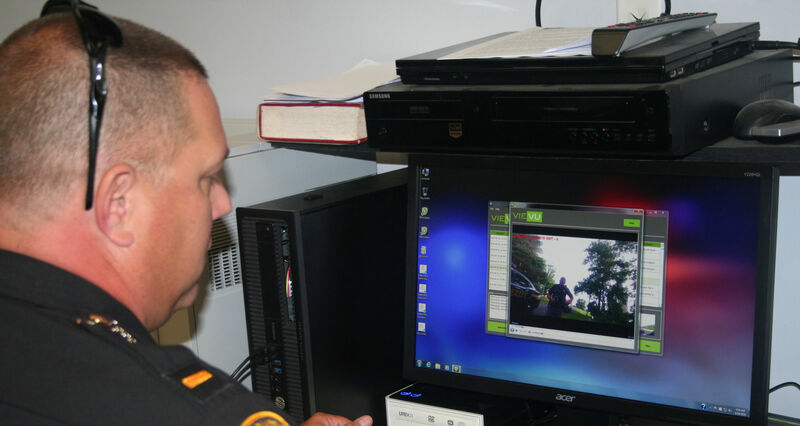 Mayor Bob Stefanik presented council with estimates for 30 dual-use cameras through Motorola that can be used as both a mounted dashboard camera and also attached to an officer’s person to then function as a body camera. The cost for the Motorola cameras is $212,294 as part of a five-year lease with $72,794 due upfront and then $27,900 due annually for five years. The equipment uses Cloud-based technology to store data, and the administration suggested purchasing unlimited server space rather than the standard amount to preserve footage long-term. Stefanik said the pricing is lower than the current state bid. The administration will continue to explore other options and share its findings at the next safety meeting April 16, Stefanik added. The mayor said this conversation is not new. Body cams have been considered in years past, with quotes obtained from Motorola in both 2017 and 2018, but talk never gained momentum because of lagging technology and a high cost. Now, costs have come down and the technology has improved drastically. In fact, if North Royalton proceeds, it will be one of the first around with both body and dash cams. Strongsville, Parma, Broadview Heights and Brecksville do not have body cameras, Police Chief Ken Bilinovich said. “We would be one of the first of anyone around us that would actually have body cameras and car cameras also,” he said. Most agree now is the time to protect residents and officers. “It’s unfortunate but in today’s world, everybody has a phone and a camera, so whether you think you’re being recorded or not, we all know that possibility’s there ... It’s time for us to go this step,” Antoskiewicz said. Ward 6 Councilman Dan Kasaris said it also safeguards the city. “It saves city dollars because it prevents lawsuits,” he said. Ward 1 Councilman John Nickell said the school district utilizes cameras, so it just makes sense police would. “It takes the ‘he said, she said’ out of the matter because they’re on video, and I do think it will protect our residents, protect our police, and I think this is the time,” he said. “I agree. We get a fair and unbiased recording of what happened,” Ward 4 Councilman Paul Marnecheck added. Ward 3 Councilman Dan Langshaw called it an extra tool to ensure justice. Antoskiewicz said it has been shown that well over 95 percent of the time, cameras indicate that a stop was warranted.